The Free State Department of Education’s Learners’ Welding Competition took place on Saturday 21 July 2018 when learners from all over the Free State gathered at SA Truck Bodies Training Sector in Hamilton to partake in the finals of the competition. 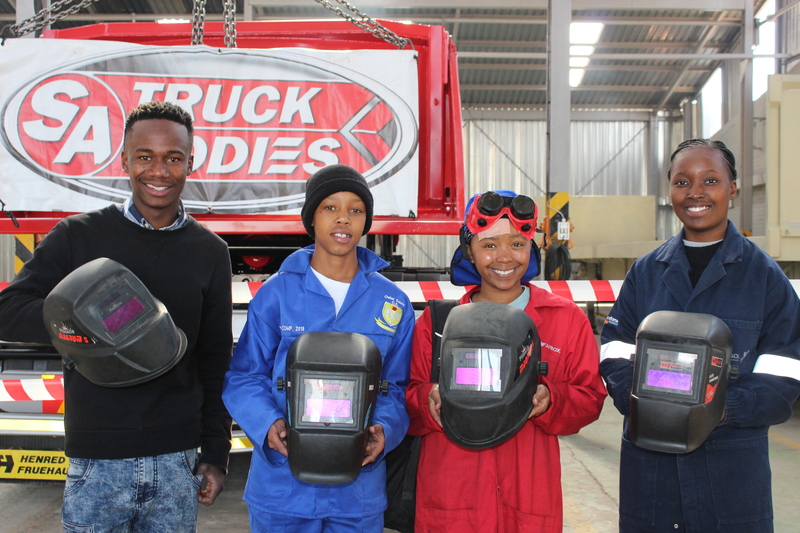 The Learners’ Welding Competition was open for both male and female learners of Grade 10 and 11. Learners who are studying Mechanical Technology and Agricultural Technology, in particular Welding and Welding & Metalwork, partook in the competition. About 66 girls and 341 boys participated and about 407 learners from 34 schools in five districts participated in the competition. One of only two girls in the final was Grade 11 learner, Karabo Rammoko from HTS Louis Botha, who was one of the participants in the competition. She said she didn’t just see it as a competition but as a learning experience where she learned a few new techniques. 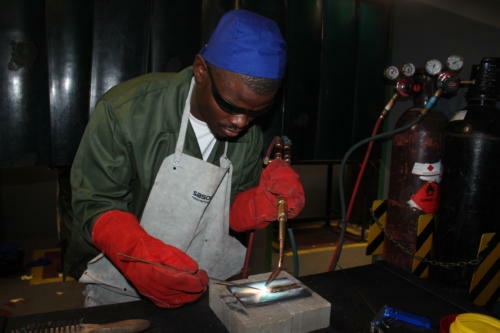 “I really enjoy welding and I plan on opening my own company in the future,” Rammoko said. The welding competition is said to be the first in the province which seeks to profile and highlight the importance of technical and agricultural schools and their contribution to bridge the gap of scarce technical skills. “The competition also seeks to open doors of opportunities in the sector for the girl child,” said Free State Education MEC, Tate Makgoe.